Only the Account Owner can set a new account owner. Learn about permissions in Noko. 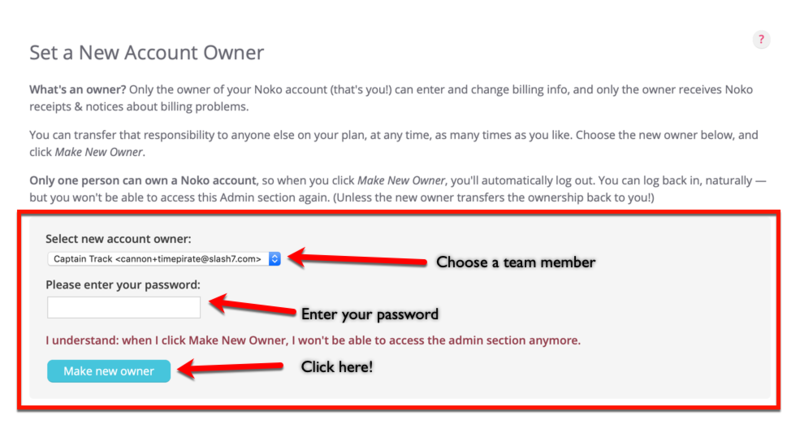 If you are the owner of your Noko account and need to pass the ownership to another member, you can do so in a few simple steps! Click on Plans & Billing in the green navigation sidebar. Click Change Owner in the green navigation sidebar. Read the text carefully, then select a different person from the drop down menu. Enter your password and click Make new owner button! 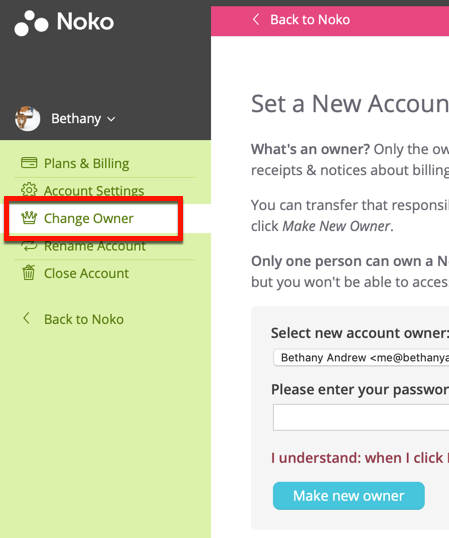 Once you've clicked the Make new owner button you will no longer have access to Plans & Billing, Account Settings, Change Owner, Rename Account and Close Account. The new account owner will immediately have access to all of these features. You'll will still have access to your team's Noko account as a Supervisor.